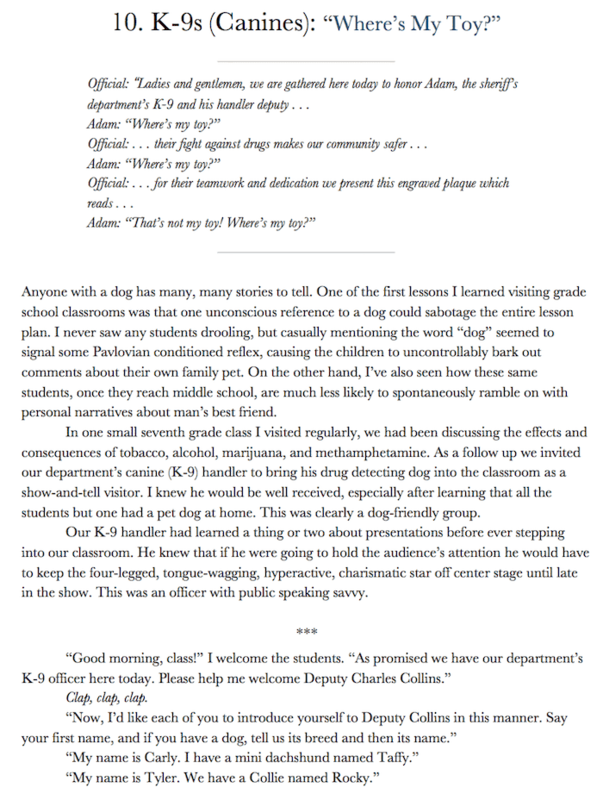 Learn how kids and cops connect at school. You will enjoy 33 personal stories about one officer’s professional career as a deputy sheriff and school resource officer. 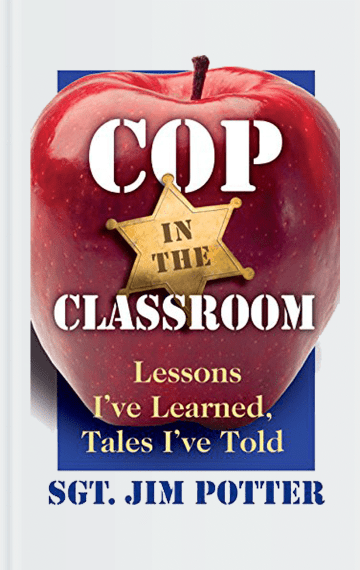 Cop in the Classroom gives an insider’s look at the emotional experiences behind the badge–and life lessons for us all. 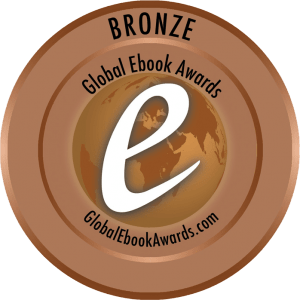 Read Chapter 10 to to preview the book. 10. K-9s (Canines): “Where’s My Toy?” – Read Chapter 10 to preview the book now. Jim Potter is a school resource officer (SRO) in the school system of Hutchinson, Kansas, a relatively small (pop. 47,000) city in the middle of the Midwest. So what could he possibly tell teachers and school resource officers in Philadelphia, Atlanta, or Seattle? Well, it turns out that he could tell them quite a bit. Mainly because Potter’s background, training, education and experience will stack up with the best. Consider the following. With a foundational degree in history from Southern Illinois University as well as a Masters in Education, Potter was also a store security officer, counselor’s aid at a Georgia prison, school teacher and coach in the public schools of Illinois, teacher in a local State of Kansas prison, and a substance abuse counselor. So Jim Potter knows what he is talking about. And what he is talking about in this book are the kinds of problems that every SRO, school teacher and counselor in the country has to deal with at one time or another. Domestic violence in the home. Sexual abuse in both the school and the home. Drug and alcohol addictions. The epidemic of suicides among the young. And the pervasive culture of violence in the schools. These are all weighty topics and yet Jim manages to write about them in clear, concise and at times, even in humorous ways. He is a man of principle, a man of convictions, a man of obvious faith. He cares about kids, and he cares about what kind of adults those kids will become. Most of all, perhaps, he is an educator who knows how to convert the kinds of concerns that all parents and teachers face into concrete courses of action. I highly recommend this book for teachers, school resource officers, guidance counselors, social workers, parents, and for anyone else who works with kids of any age.